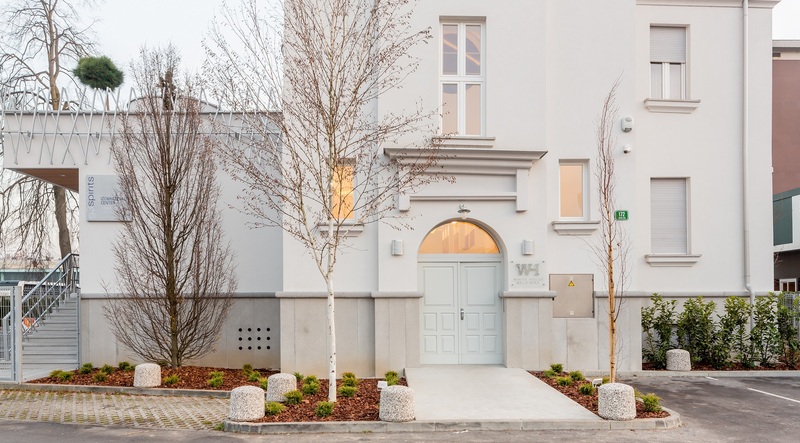 The very new White House – Bela Hiša in Šiška district of Ljubljana is a favorite among urban travellers who are visiting Slovenian capital city for business or leisure and are looking for quality but affordable accommodation. It’s easily accessible from a highway ring, 3 minutes away from central park Tivoli, 5 minutes from Arena and Stadium Stožice (sports, concerts, shows), main public institutions, national galleries and museums, Gospodarsko razstavišče (exhibition and congress center), Cankarjev dom (arts and conferences) as well as central railway and bus station. On top of that it’s reachable within 15 minutes from Ljubljana Jože Pučnik International Airport. Close proximity to city center, shops, banks, restaurants, bars and clubs as well as good public transport connections, free enclosed private parking area for guests and a very good comfort make it one of the best value-for-money choices of accommodation in the city. 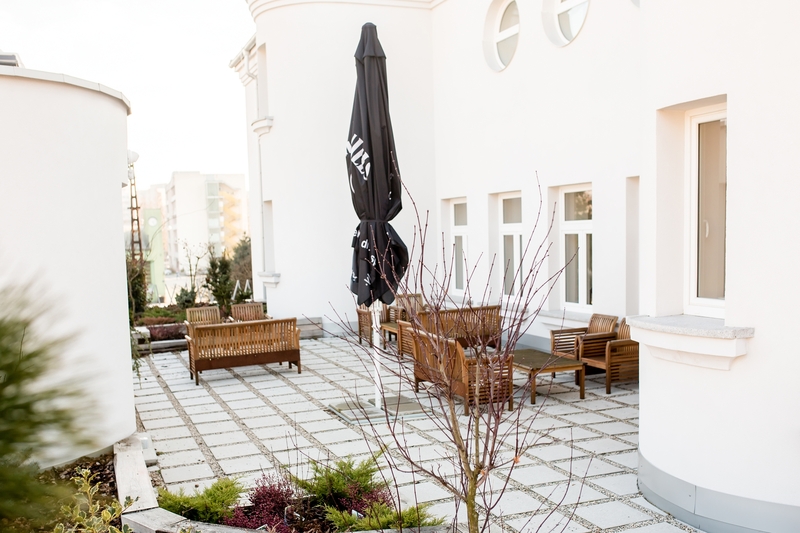 Last but not least: White House – Bela Hiša rooms and apartments are children and pet friendly. You can pick among 4 twin-bed rooms and 8 apartments of various sizes (for young families, groups of friends, businessmen), designed, built and equipped according to high international ecological standards (LED-lamps, sanitary water from rainwater, well isolated building), newly opened recently after an extensive quality renovation. 4 units are extended with private terraces, and all of our guests can enjoy the comfort of spacious rooftop garden on the first floor. All units provide above the standard comfort, including free Wi-Fi Internet, hundreds of TV and RA programs, which you can enjoy on big screen TVs, fresh potable water, free coffee and hot beverages. All beds are high quality, double-sprung and meet the hotel 4* standard. All apartments include comfortable kitchen, generously equipped with appliances (fridge, induction stove, electric oven, washing machine, toaster, kitchen inventory), washing machine and hairdryer are in all units, as well as interior furnishing that will make your stay at White House – Bela Hiša even more pleasant. Iron with ironing board is available to our guest on demand at reception desk. 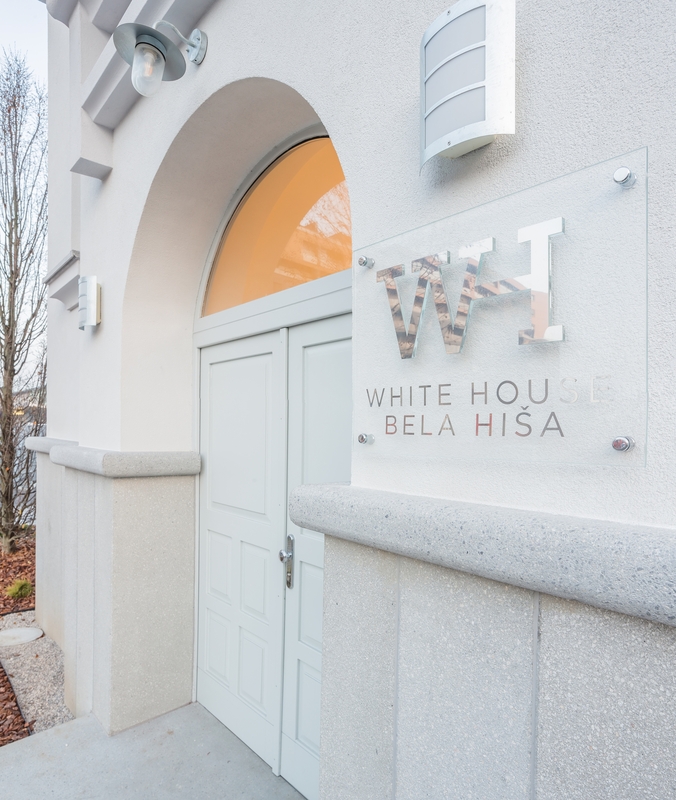 For the connoisseurs of fine arts we are exhibiting works of some of the prize-wining Slovenian artists in the hallways of White House – Bela Hiša. Reception desk is available to our guests 24/7, as well as vending machine with basic selection of snacks and beverages, while breakfast arrangements are available in the adjacent restaurant. In each room and apartment you’ll find a map with all the basic information you need to make the best of your visit to Ljubljana – and you ask our staff for the latest tips.